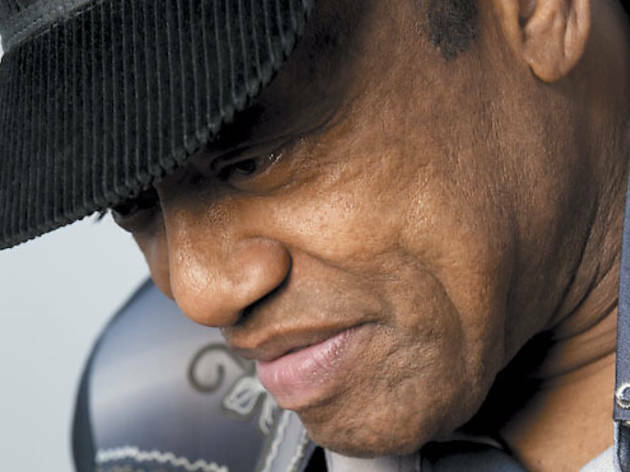 The soul legend's latest comeback has snowballed into a new album with Damon Albarn. 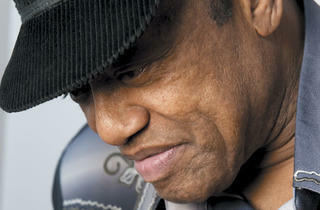 The title of Godfather of Soul is taken, so can we settle on calling Bobby Womack the Godfather of Pain? The Cleveland-born singer oozes a truckload of ache that is equaled in his volume. His bourbon voice is all burn and butterscotch. His masterpiece, “Across 110th Street,” a tale of junkies and hookers turning tricks in Harlem, still chills after four decades, and still uplifts with its percolating bongos and wah-wah, roar and rasp. Damon Albarn, like Tarantino, loves to scrounge for pop culture we’ve foolishly tossed in the trash. Rather than sample some old classic, Albarn found more mojo left in the old man’s tank and dusted off Womack for a few hair-raising Gorillaz tunes on Plastic Beach and The Fall. The 67-year-old also joined Gorillaz on the road. The collaboration has blossomed into a full, forthcoming album, The Bravest Man in the Universe. The record was coproduced by Richard Russell, who squeezed wonder from a withered Gil Scott-Heron on 2010’s I’m New Here, and offers post-millennial spirituals like “Lift You Up” and “Reflections,” which samples Sam Cooke. So here’s an idea: How about not letting our legends fade into obscurity again?